Committing to a long-term lease isn’t for everyone. There are a number of reasons to consider getting a used copier for your new business. Whatever the reason is for your, Denver Copier is here to help you find exactly what you need. We have the widest selection of used copiers to satisfy whatever your business needs. 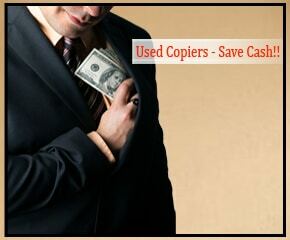 Our used copiers are the best that you can find in the Denver area. We work with the best Xerox brand machines to ensure that you have a wide selection of amazing office machines to choose from. A lot of people get squeamish when they think about getting a used office machine. They fear that they will get stuck with a lasting problem that someone else never decided to fix. This is not the case at Denver Copier. Our selection of used copiers are all in great condition. We believe in helping our customers achieve their goals, which is why we make sure all our office machines are ready to go. Our technicians check each machine to ensure that it is ready to go as soon as you take it to your office. Used copiers can be a great solution for anyone who is concerned about cash flow, or someone who doesn’t want to be stuck on a lease. Give us a call to learn more about getting a great used copier for your business today.